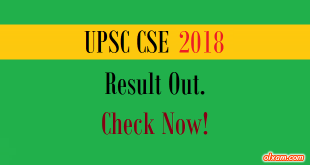 IES 2017 Result Out – Check Now! IES 2017 Cut-off Marks – (Pre, Main & Final) – Engineering Services Examination (ESE) also known as IES is one of the popular exams among engineering graduates. Large number of candidates who want to work for Group A posts or services under various departments of govt. of India appear in this exam. To select the suitable candidates, UPSC fix the minimum qualifying marks in each stage of recruitment process. The minimum qualifying marks is considered as the cut-off marks. Those who clear the cut-offs at every stage are eligible for appointment. * Minimum qualifying standards – Candidates have to secured minimum marks in each of the three objective papers. ** Candidates who attain minimum marks in objective papers i.e., marks out of 500 only those candidates conventional papers would be evaluated. * Minimum qualifying standards – Candidates have to secured minimum marks in each of the conventional papers. ** Candidates who attain minimum marks in objective plus subjective papers i.e., marks out of 1100 only those candidates would be called for personal interview.